What can you find in the rocks pools at Poppit Sands or for that matter anywhere else around the UK coast? I know that the collecting of shells and the like is a serious hobby for many, mind extends to the ability to at least guess at a name for the life forms that my children drag out of the water. 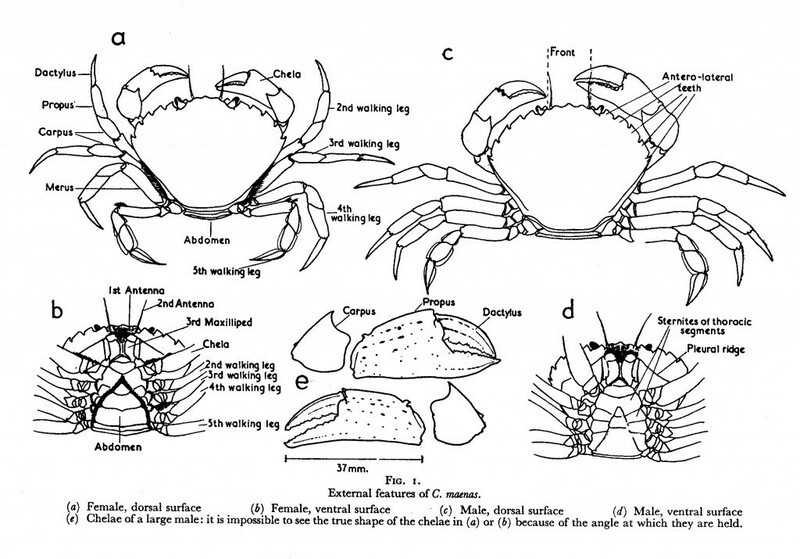 Top of the list is the Shore Crab which are readily available in the rock pools. See much earlier post on how to catch them. 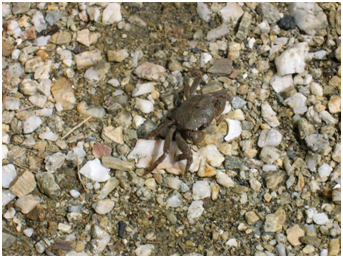 Perhaps the easiest way to tell the difference is that females tend to tuck their legs in when picked up or stressed where males are much more defensive and aggressive. So what else can you find on holiday in Wales ? Collecting sea shells always seems to be an attraction that never ends for us. Most shells found on the beach in Poppit are types of Molluscs. These shells tend to survive better on the sea bed to get washed up. There are of course the odd types of crab shells that get washed up, but hopefully ‘thats a crab shell’ should suffice for now. The study and all collecting of shells is sometimes refered to as Conchology, but that does sound a bit grand an expression for throwing shells into a bucket and using them to decorate a sand castle later in the day. So lets try and find some pictures and put some names to them so we can all be shell experts… this has proved much harder than I first thought. Images, copyright and not a lot of information has made me put this link in to an excellent site with fantastic images, lots of latin names and more information than I could write in this blog in a week of Sunday’s. One last mention of one of my favourite finds on the beach. Cuttlefish, which belongs to the mollusc family and is classed at a Cephalopoda. Thats the same as an octopuses, squid etc. Anyway when they died and get washed up on the beach at Poppit their internal structure remains and is made of a structure called cuttlebone. This is porus and made from a material called aragonite. Now as a kid we used to put these in the cage of our Budgie. The budgie can use these cuttlefish bones as a source of calcium and to use as a hard(ish) surface to gnaw at to keep their beak in good condition. Prior to living near the see you had to buy them in a petshop!